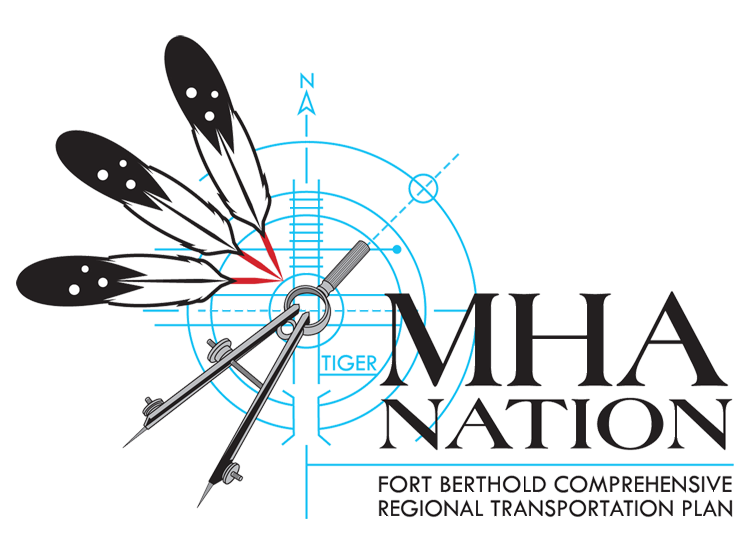 The Fort Berthold Comprehensive Regional Transportation Plan is a community-driven approach to planning for the future of Fort Berthold and MHA Nation. This is an opportunity for the community to take a proactive approach to designing a transportation, road, and safety plan that will meet the unique needs of the Three Affiliated Tribes. It’s also an opportunity to take ownership of the community’s energy use. We hope to see you at our events. During this two-day workshop, representatives from NREL will work with MHA Nation Tribal members and leaders to identify the Tribes’ energy goals and priorities, gain a better understanding of how to develop a clean energy policy portfolio to achieve those goals and priorities, learn about energy efficiency, analyze the current energy field, and develop a strategy for achieving those goals and priorities efficiently and effectively. This is your chance to voice your vision for Fort Berthold’s future energy landscape and make this energy plan truly reflective of the community’s interests and concerns, and help to develop plans to use indigenous resources in efficient, resilient, and secure infrastructure. 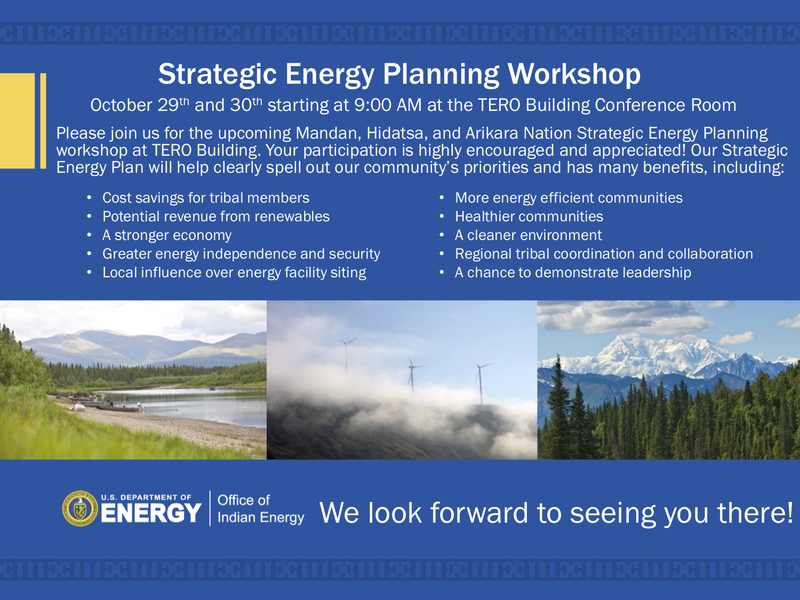 Join us at the MHA Energy Building, starting at 9 am, October 29 & 30. Enter your full name and a valid email address in the forms just below so you can stay up to date on what’s happening! Also, be sure to follow our blog, Facebook, and Twitter, and send us your comments, questions and feedback.